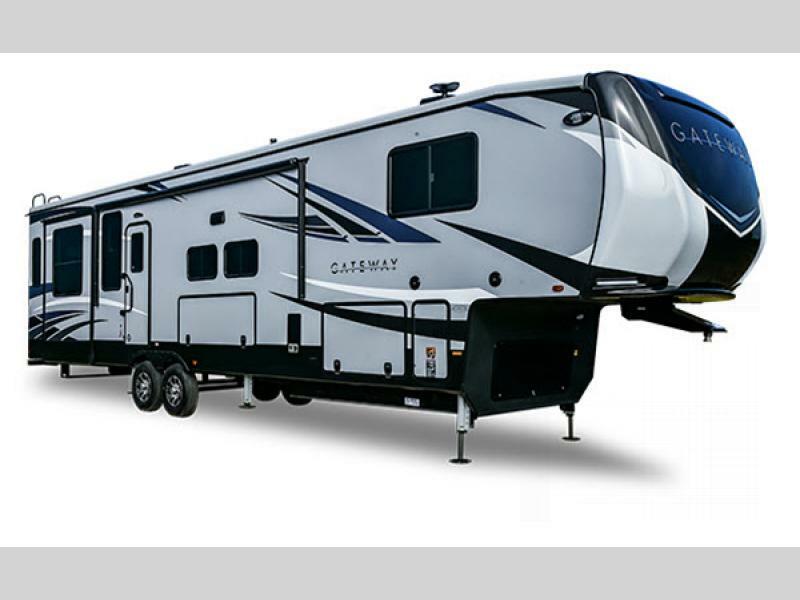 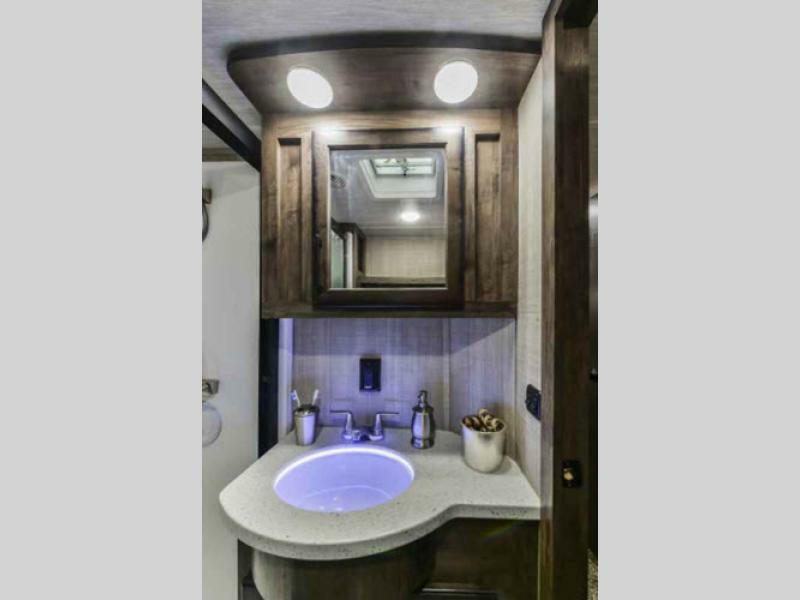 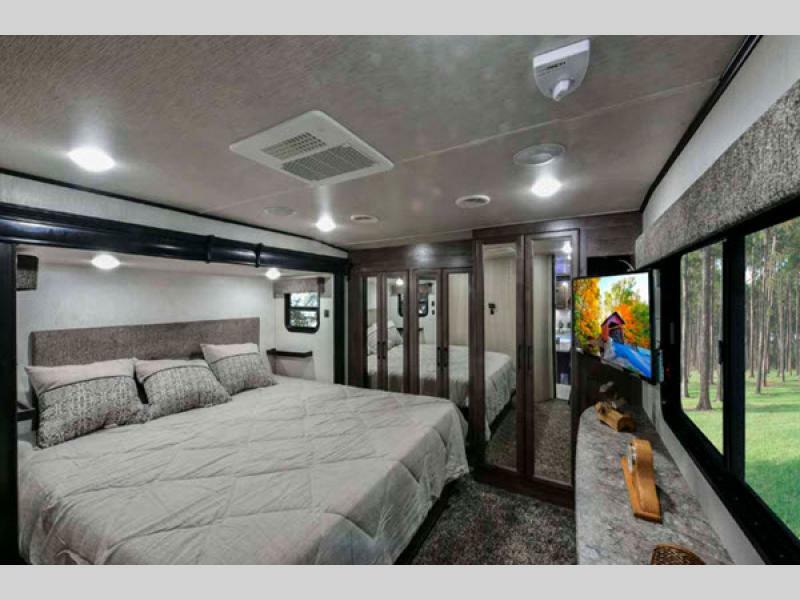 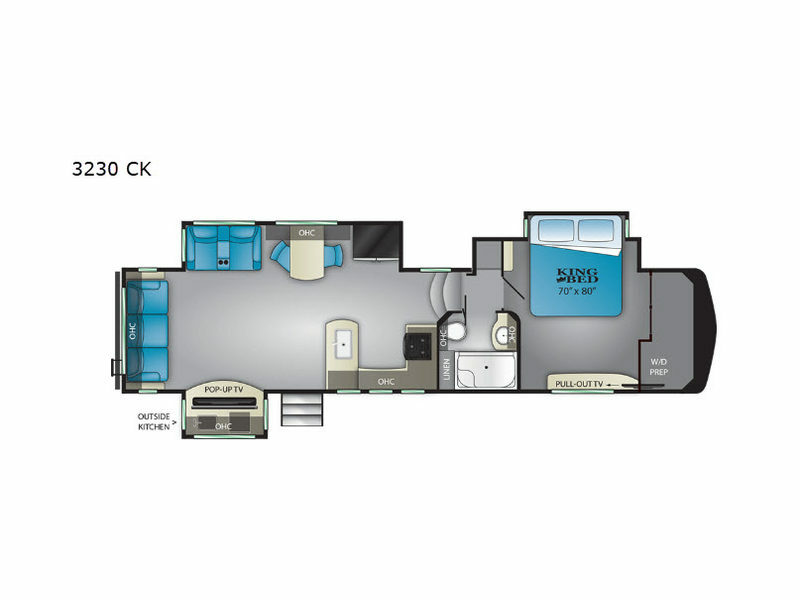 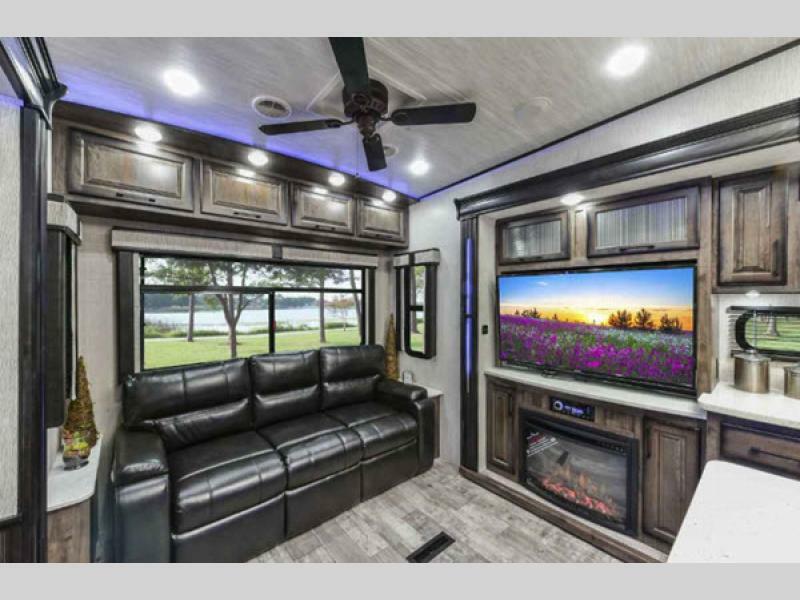 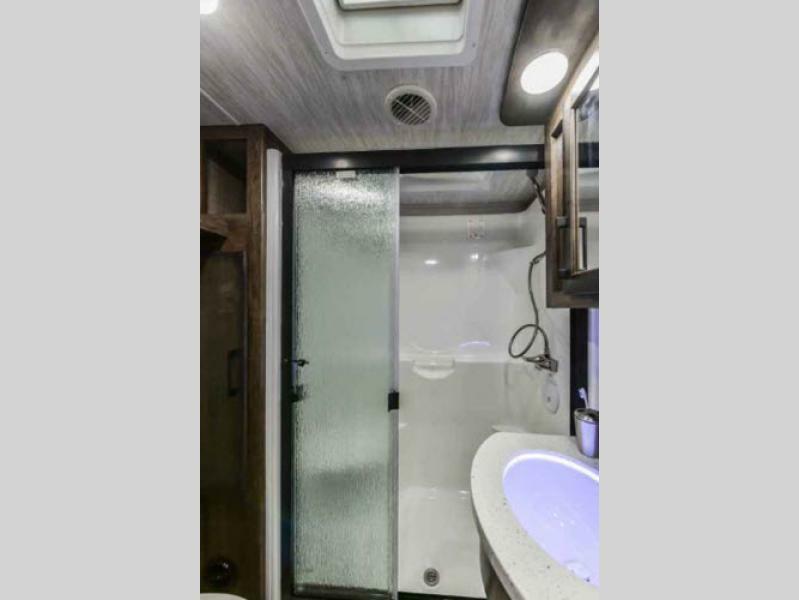 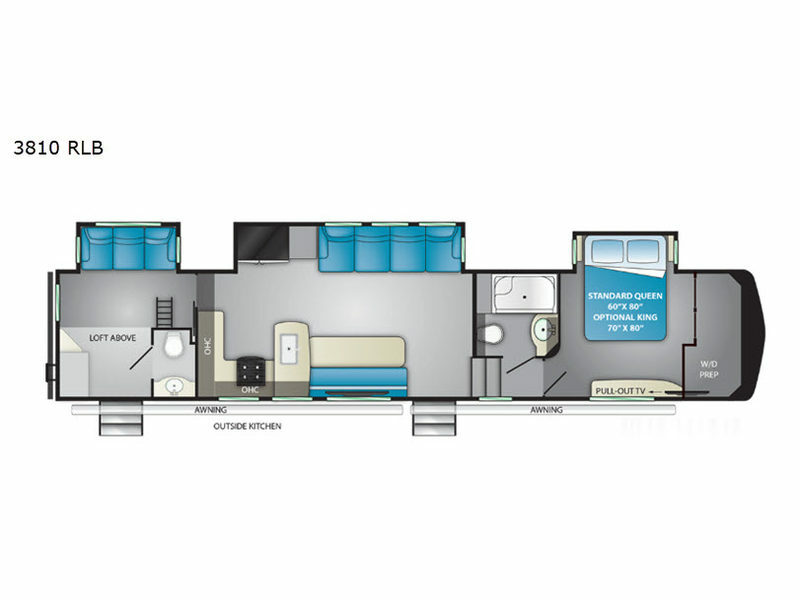 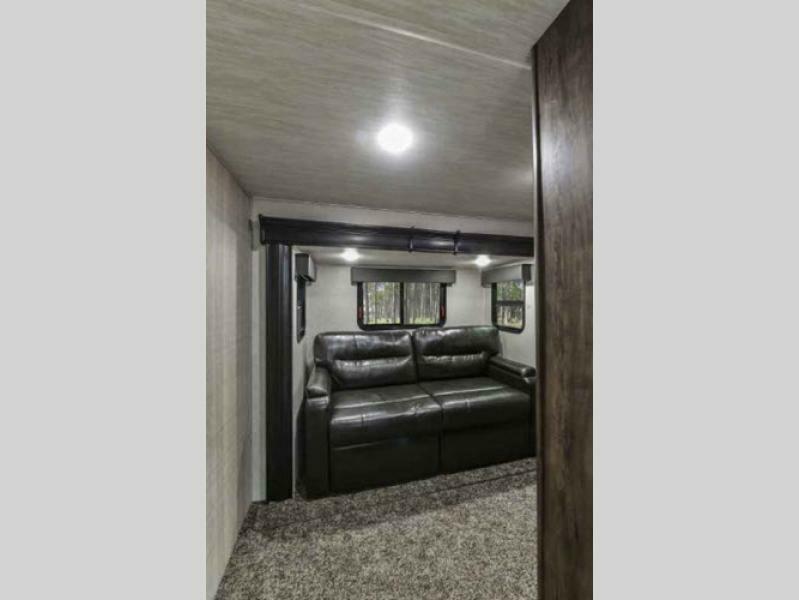 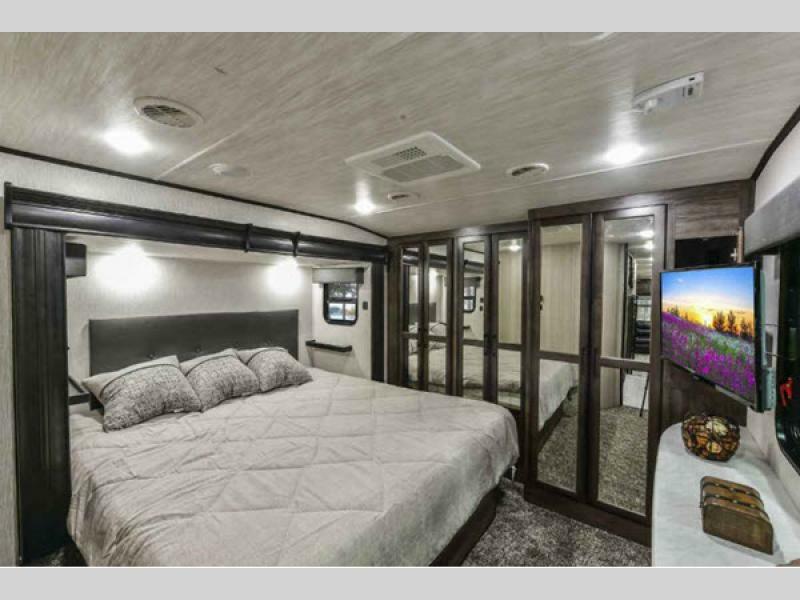 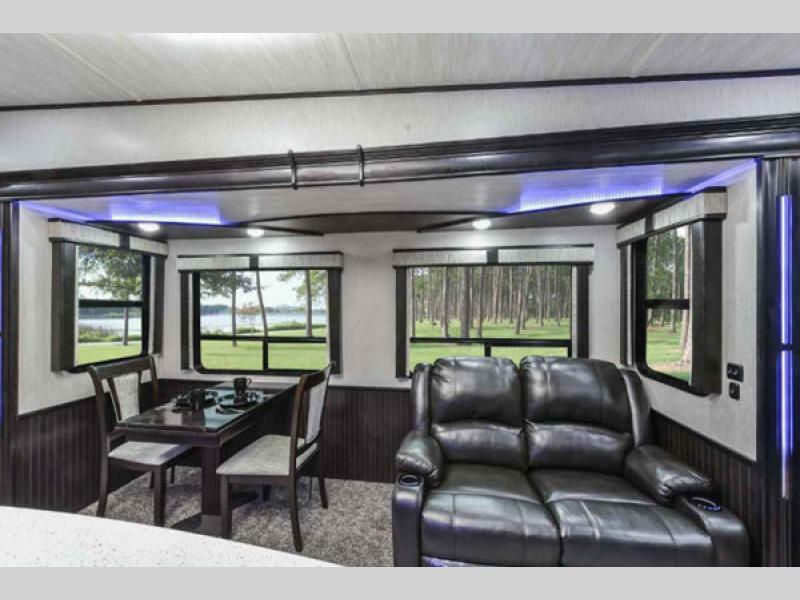 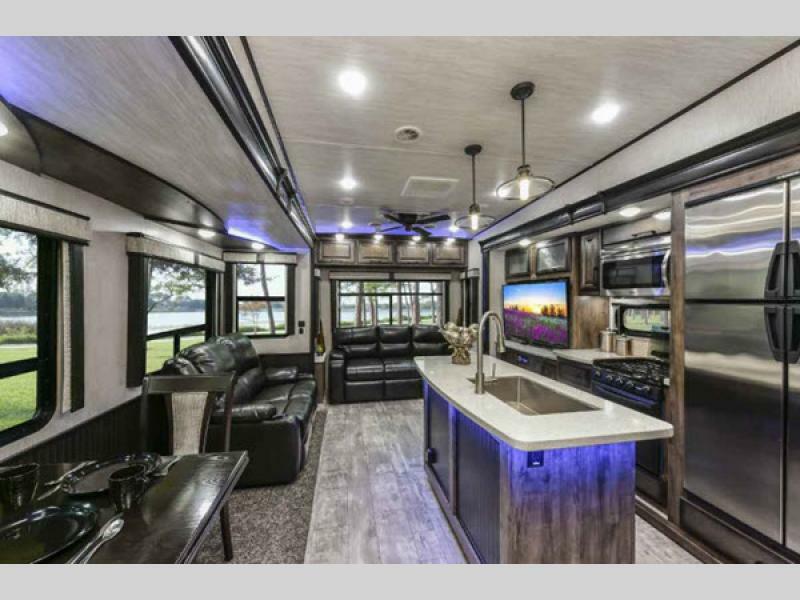 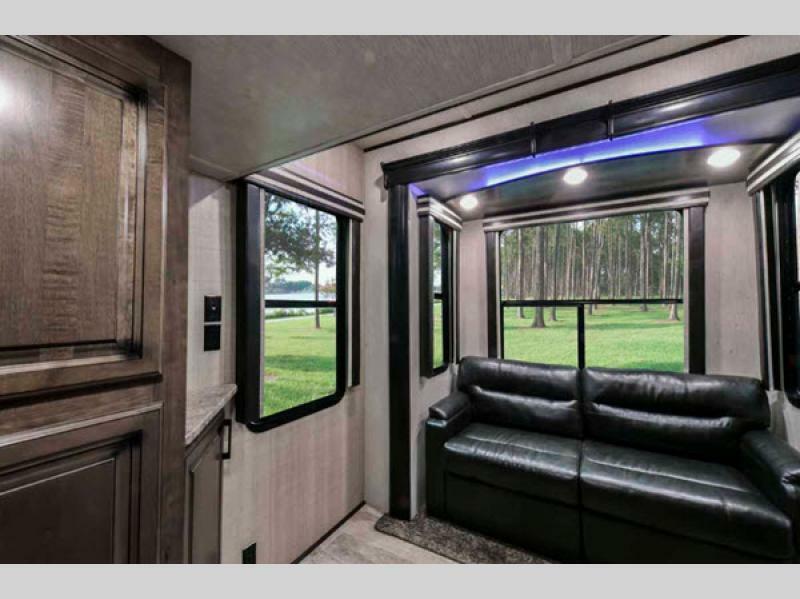 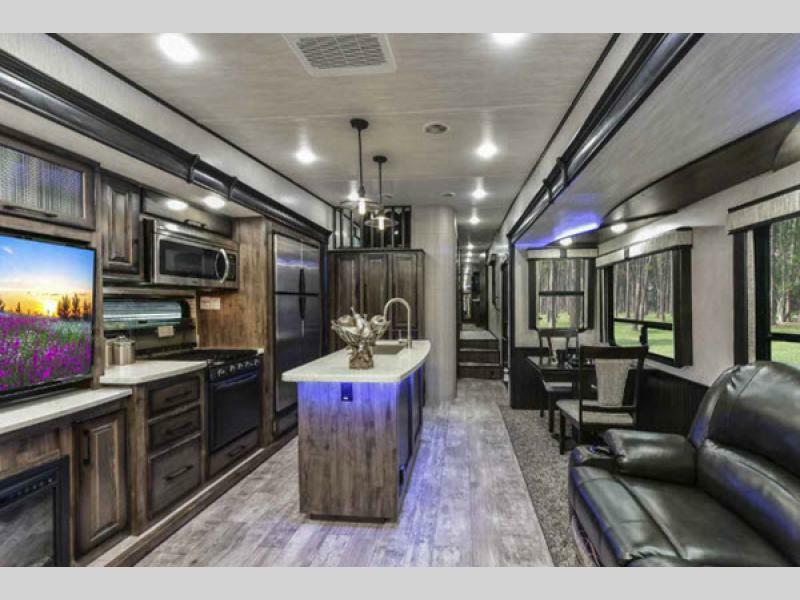 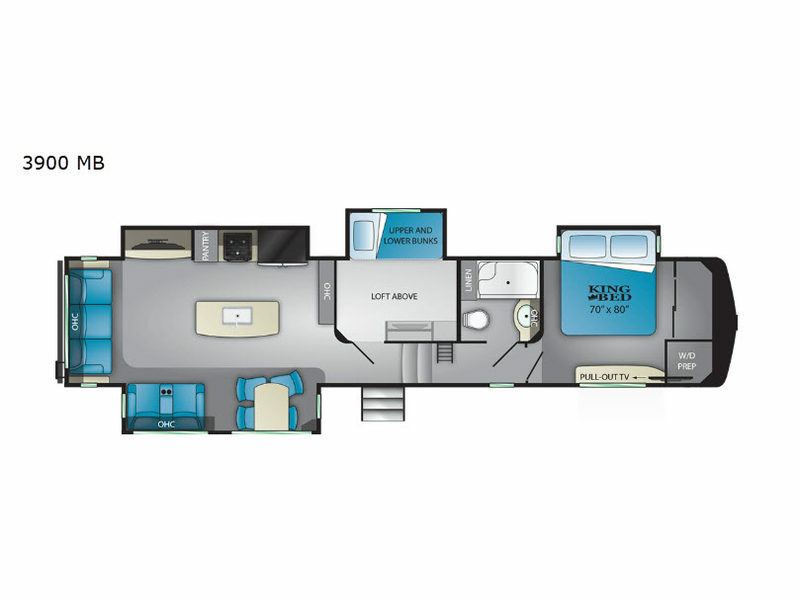 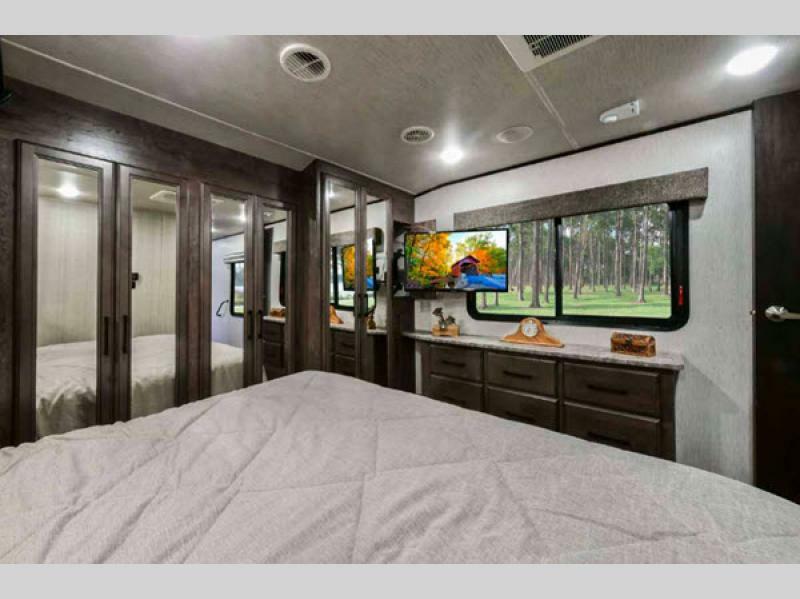 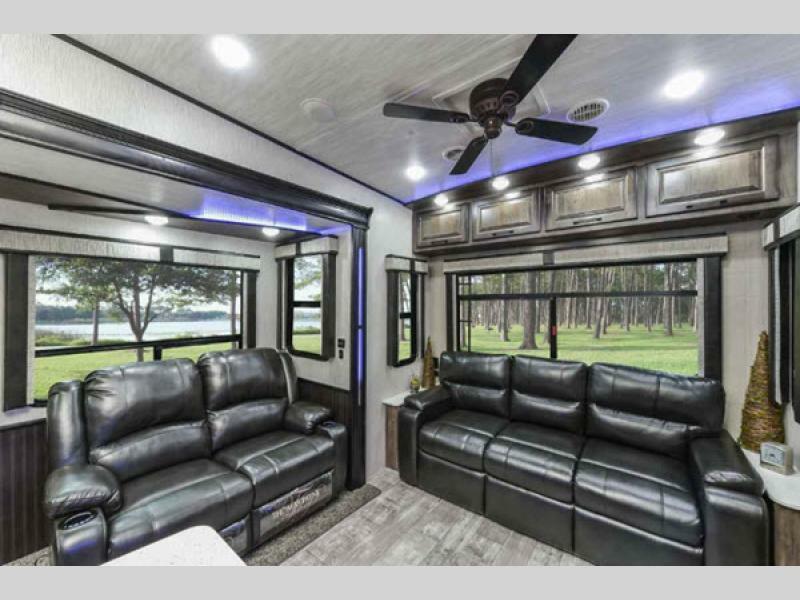 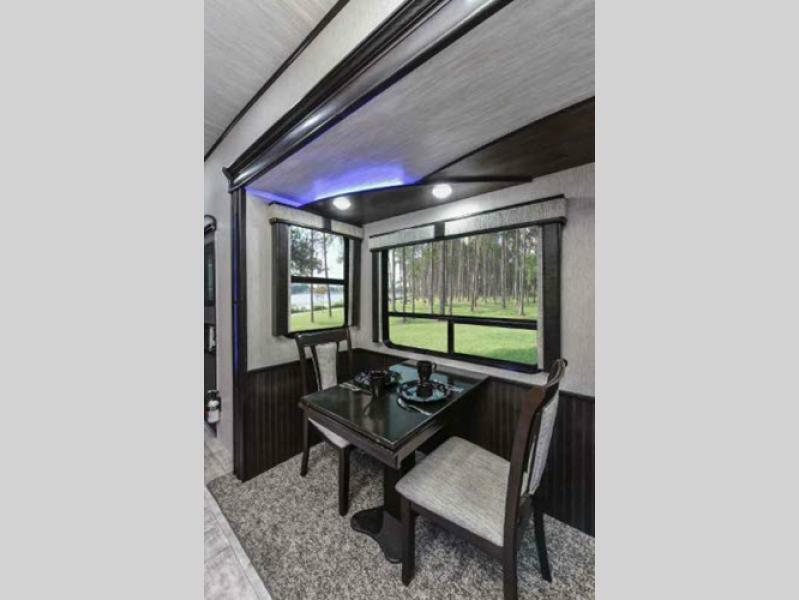 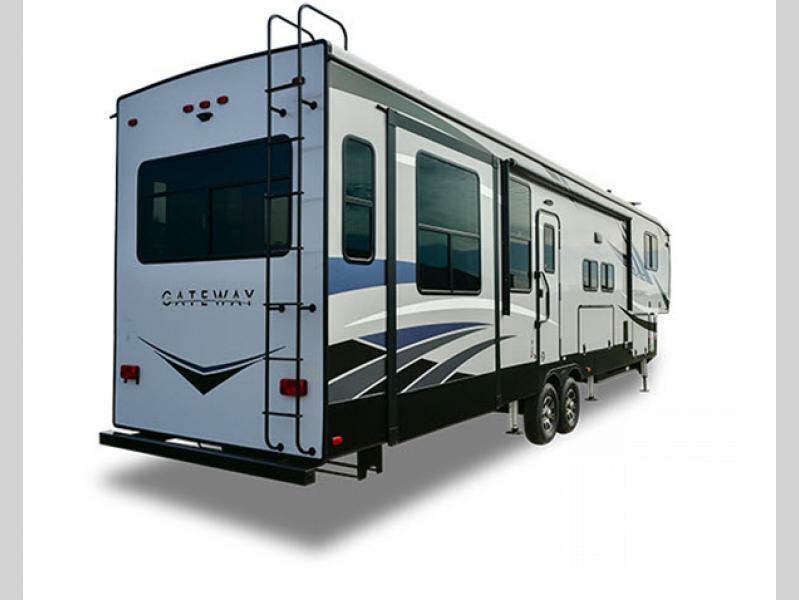 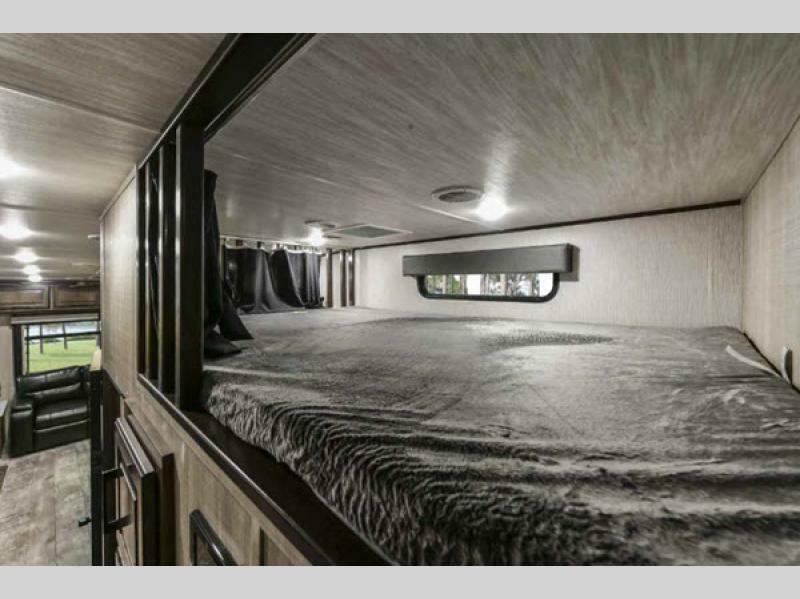 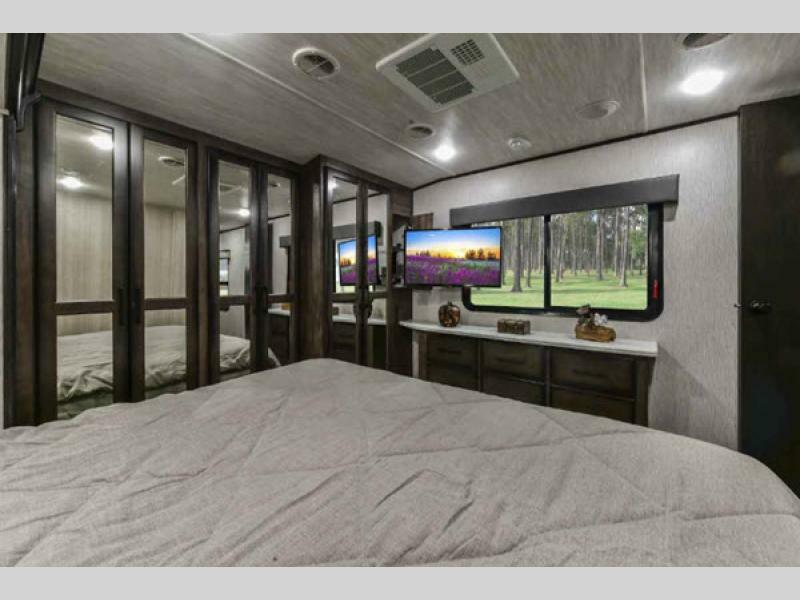 The Gateway fifth wheels by Heartland RV have been purposely designed with every attention to detail providing maximum value in each and every model produced. 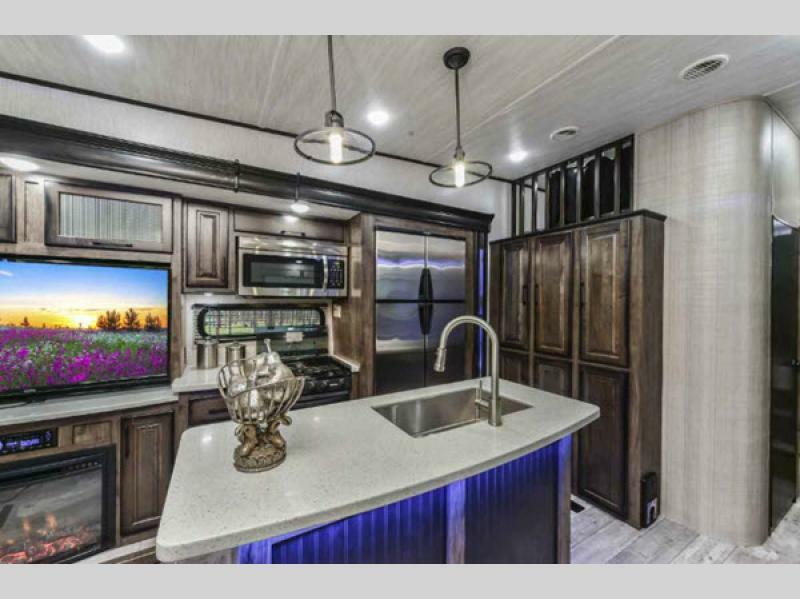 You will love the beautiful Ashlyn cabinetry, and the residential furniture with heat and massage has been arranged just right for comfort and conversation. 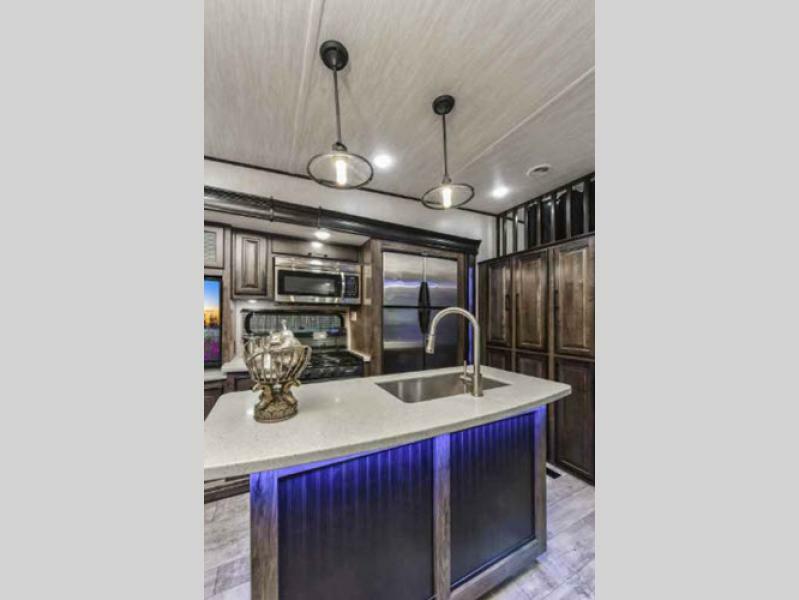 You will also appreciate the solid surface countertops in each kitchen. 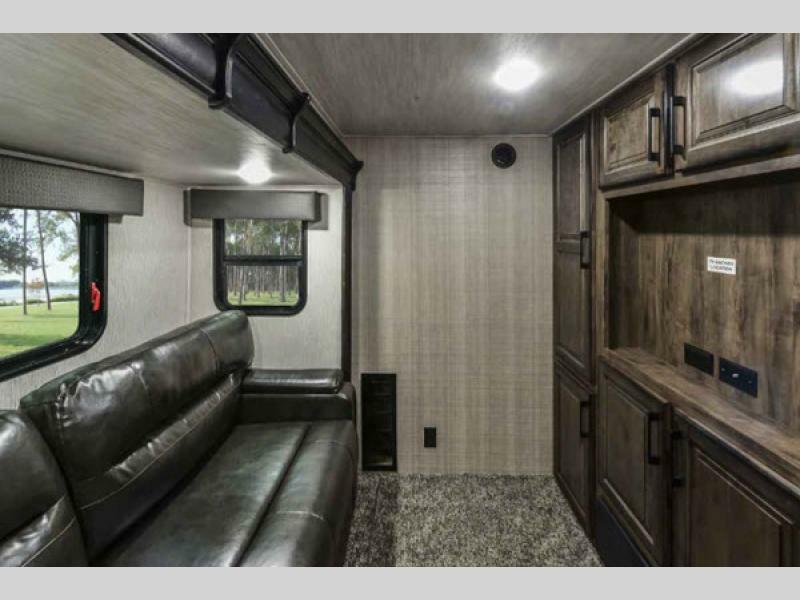 Plenty of exceptional features have been included in the Gateway, like the large HDTV, a residential refrigerator, a walk-in wardrobe, and a washer/dryer closet. 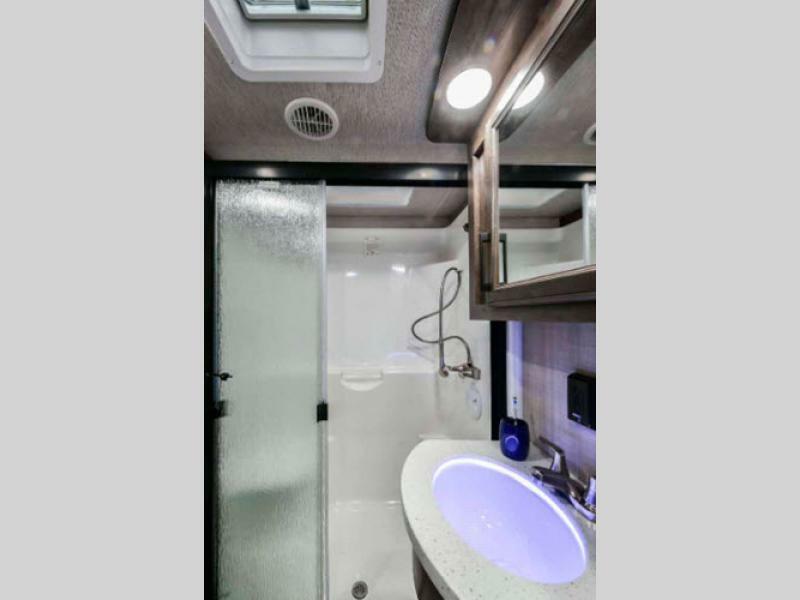 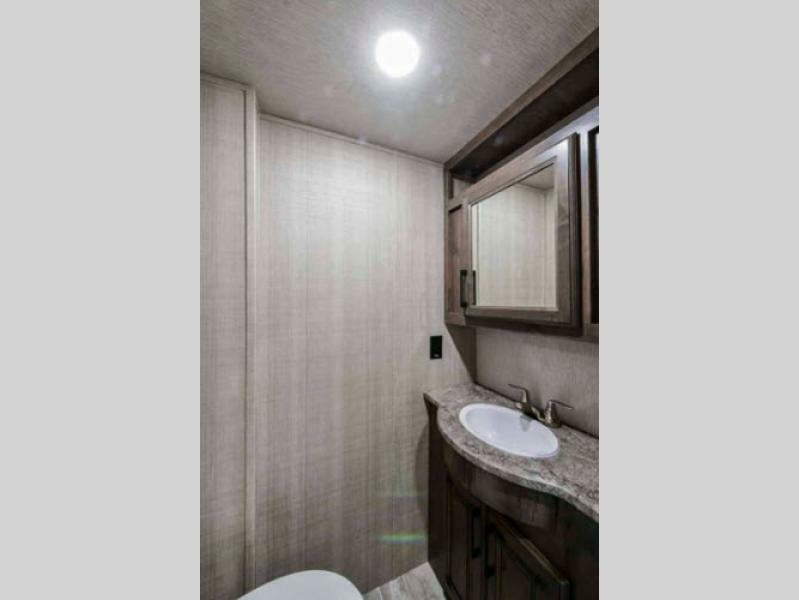 To add to the modern style, stainless steel appliances have been installed which create a sleek and polished finish, and the one-piece fiberglass shower with seat and LED-backlit lavatory sink will stun both you and your guests upon entry. 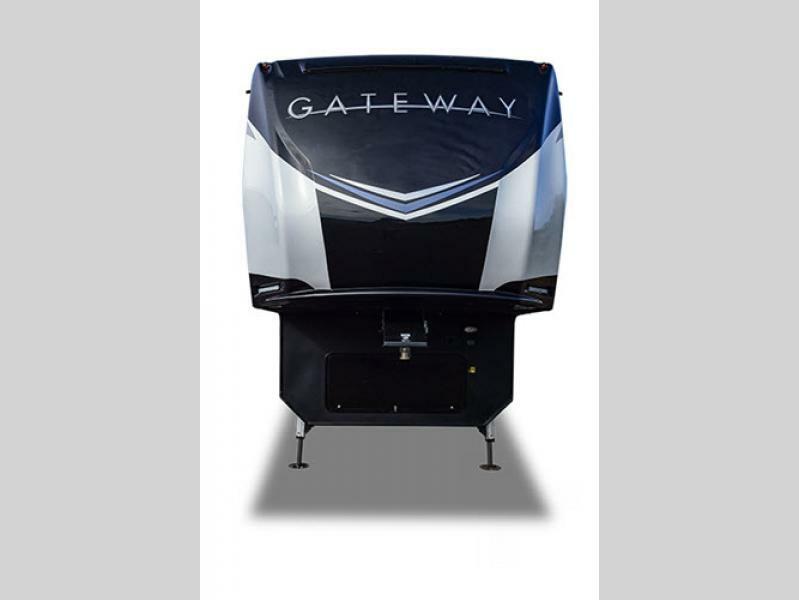 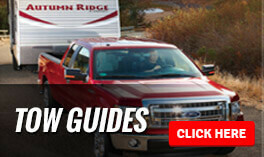 No matter which unit you choose, it will be your new gateway to luxurious camping, so come select your new Heartland Gateway fifth wheel today!